CHESTERTOWN, MD—Gerda Blumenthal awards from the Washington College chapter of Phi Beta Kappa will fund a drama camp for girls in Cameroon and fuel a research paper on the role of barbarism in South American history. In most years, one award valued between $800 and $1,200 is granted. However, because no Blumenthal Award was given last year, the Phi Beta Kappa chapter was able to bestow $1,200 awards on two sophomores: Andrea Clarke and Nicolas Campisi. Clarke, a Baltimore native, will use her award to help fund an all-girls drama camp she plans to run in Mora, Cameroon this summer. She will be teaching the basic principles of drama to local middle and high school students. Through the program, she hopes to encourage creative thought and promote a sense of empowerment in the students. 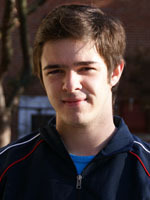 Campisi, a native of Argentina, plans to write a journal article about South American history. As part of his research, he will be traveling to the University of Massachusetts at Amherst Library to read personal letters written by German painter Johann Moritz Rugendas, who traveled and worked throughout South America in the early to mid 19th century. 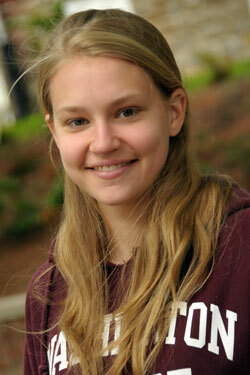 Clarke and Campisi will present their completed projects to the members of Phi Beta Kappa next fall. The awards, which support specific intellectual pursuits related to the Humanities, honor Dr. Gerda Blumenthal, a well-respected scholar who taught French and World Literature at Washington College from 1955 to 1968. To be eligible, a student must be a rising sophomore or junior with a GPA of at least 3.5 and submit a detailed project proposal to Phi Beta Kappa. For more information about Washington College Phi Beta Kappa and the Gerda Blumenthal Award, visit http://academics.washcoll.edu/phibetakappa.php. 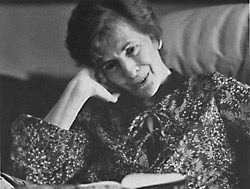 Dr. Gerda Blumenthal chaired the Modern Languages department at WC.